My dad’s oldest brother, Uncle Yutaka, in the back row, center. 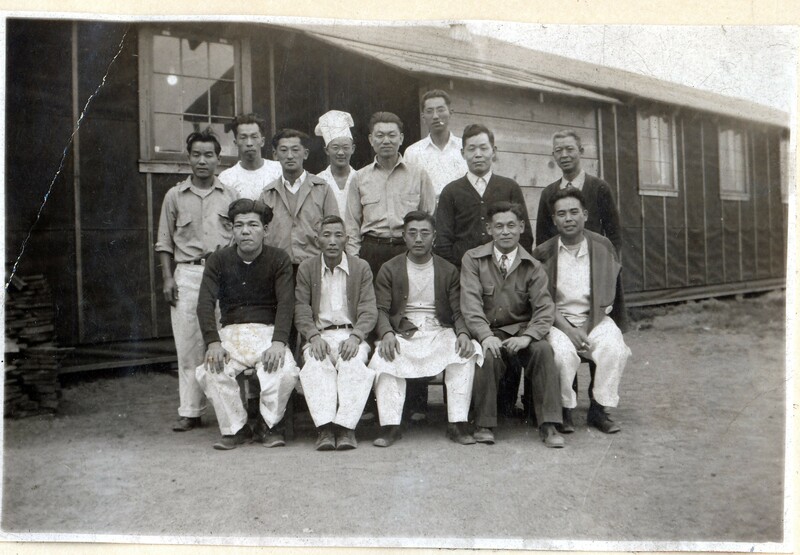 He is posing with the Block kitchen crew at the Minidoka, Idaho “War Relocation Center”, circa 1944. Notice their living quarters behind them. They lived in plywood barracks covered only with tar paper. There was no plumbing nor toilets installed. Photo courtesy of my stateside cousin, Janice (Kanemoto) Hew. So you likely see from reading Parts 1 through 4 of “What Did FDR Know” that Japan really never had a chance… A chance to win WWII. Their chances were nearly nil largely due to the US breaking two key Japanese codes. 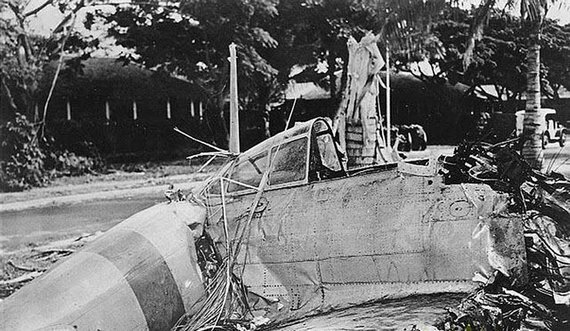 One was JN-25, the code used by the Imperial Japanese Navy. The other, as we’ve read, was “Purple”, the secret cipher used by the Japanese diplomats. Simply put, we knew exactly what they were doing as well as what they were going to do in all aspects. Interestingly, the cards are creased as he was required to carry it in his wallet at all times. 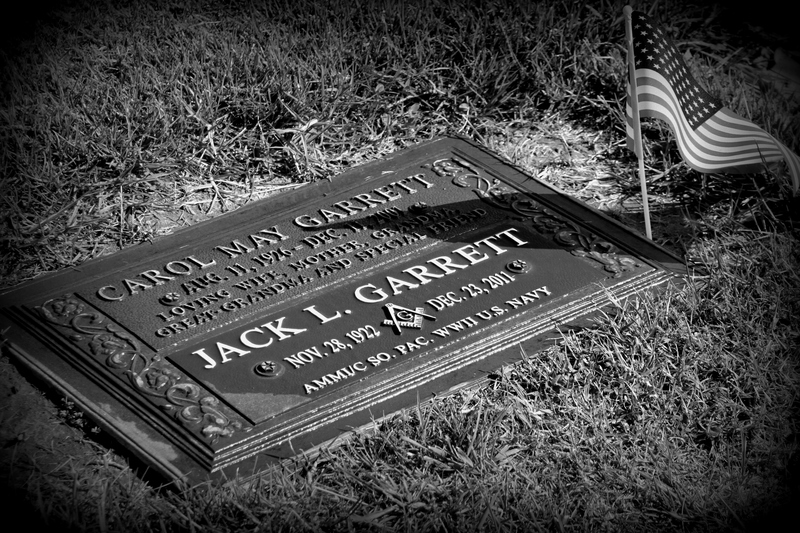 All American males of draft age were…even if they were imprisoned in a dusty, barren dry lake bed in California stripped of all rights. 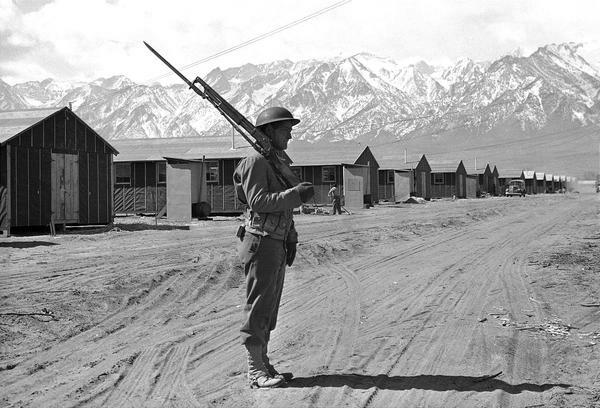 Armed guard at the Tule Lake Concentration Camp. 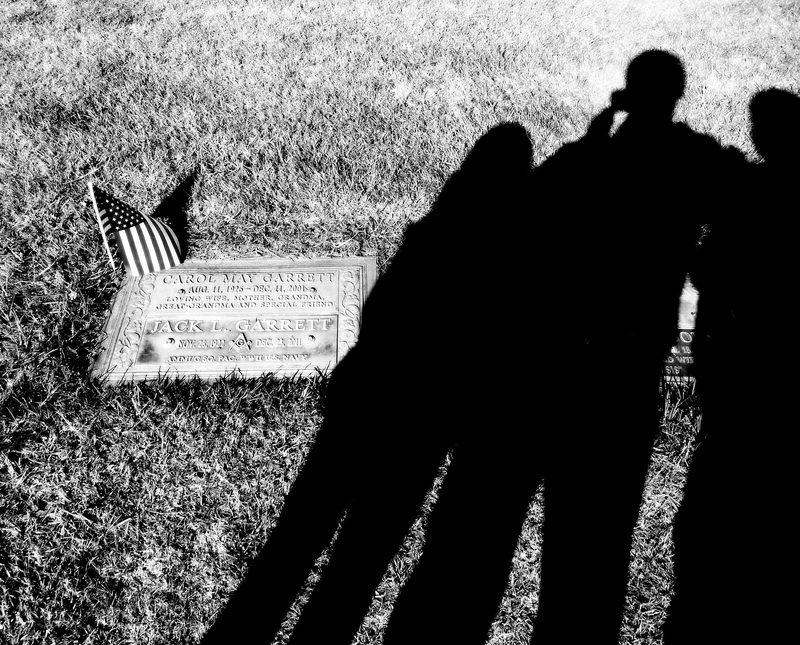 My father, uncle, aunt and cousins were there so he was guarding them. US Army Signal Corps, May 23, 1943. But what did FDR know about “suspect” activities by people of Japanese descent living in the US on the West Coast before Pearl Harbor? Most importantly, of the extent and magnitude of their “suspect” activities? We’re talking espionage. What could have prompted his ordering the “evacuation” of such people from the west coast of America? But don’t get me wrong; it was not just the Japanese. People of German descent loyal to Nazi Germany also did spy…as did people of Italian descent. Some were loyal to their homeland, not the US. But certainly it was not ALL of them. Let’s not forget the famous East Coast docks were run by the Italians, too. 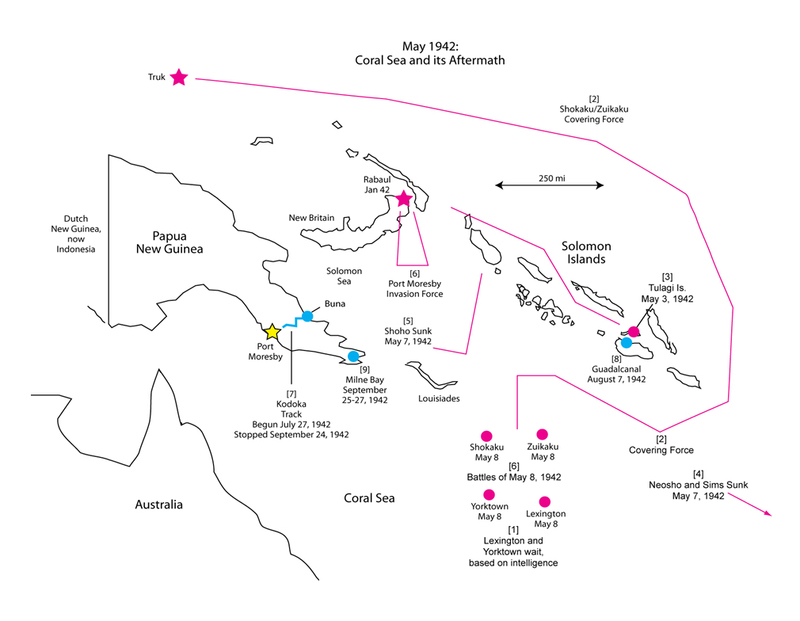 Certainly, if one wished to “spy” and report on ship movements, there could not have been a better way. Being dock workers, they know what supply ship left when…and with what. After all, they loaded them. A number were sent to the bottom of the Atlantic by the waiting U-boats. Since we are addressing “suspect” activities, here’s an interesting sidebar to this story. 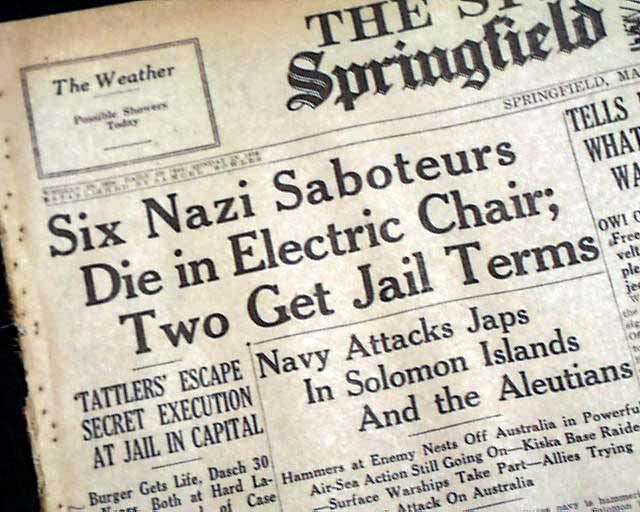 Did you know that eight German saboteurs were caught on American soil whose combined cases were brought before a special session of the Supreme Court on July 29, 1942? Did you know they came ashore from submarines in mid-June with greenbacks worth over $2 million today, explosives and even James Bond-like devices? The case was referred to as the Ex parte Quirin. 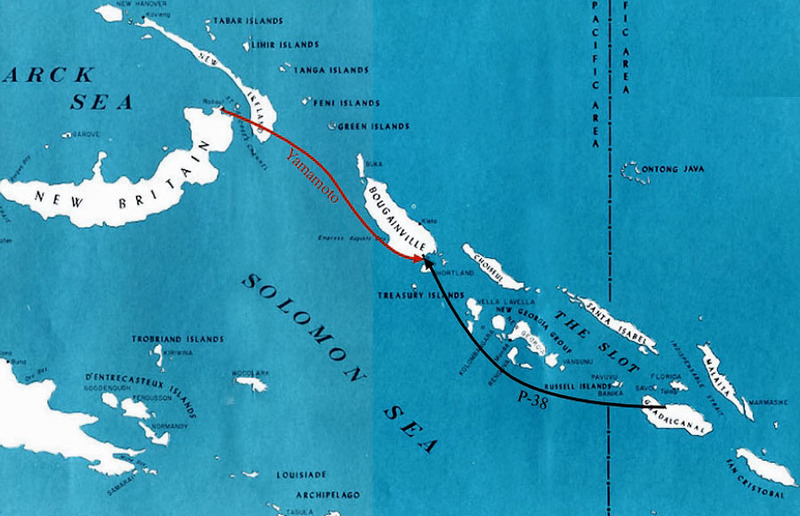 It was named as such because of the lead saboteur, Richard Quirin. 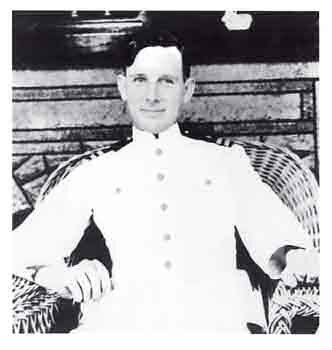 Quirin had lived in the US for a dozen years and became the first spy “trainee” of this group once he returned to Germany. In short, six of the eight got to sit in the electric chair just about ten days later… On top of that, a one saboteur (Herbert Haupt) actually went to live with his father in Chicago. The father also helped him apply for a job and get a car. Another saboteur, Werner Thiel, actually handed some of the money over to his once room mate and business partner, Anthony Cramer; they owned a deli but it had failed. But it is interesting to note that in spite of this event, there was not a mass imprisonment of German nationals or their American-born offspring from this incident which made the US Supreme Court. Because the US had broken the ultra-complex “Purple” code in 1939 used by the Japanese diplomats, FDR was able to at least see exactly what the Japanese diplomatic corps was doing before Pearl Harbor. ONI (Office of Naval Intelligence) had established a secret delivery system for the intercepted Japanese military and diplomatic intelligence (MAGIC) for FDR in the winter of 1940. Lt. Com. 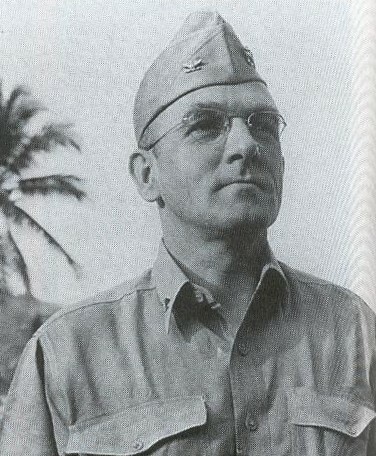 Arthur H. McCollum of ONI, and the author of the “McCollum Memo”, was the distribution officer; his name was on 151 USN routing slips in the National Archives. 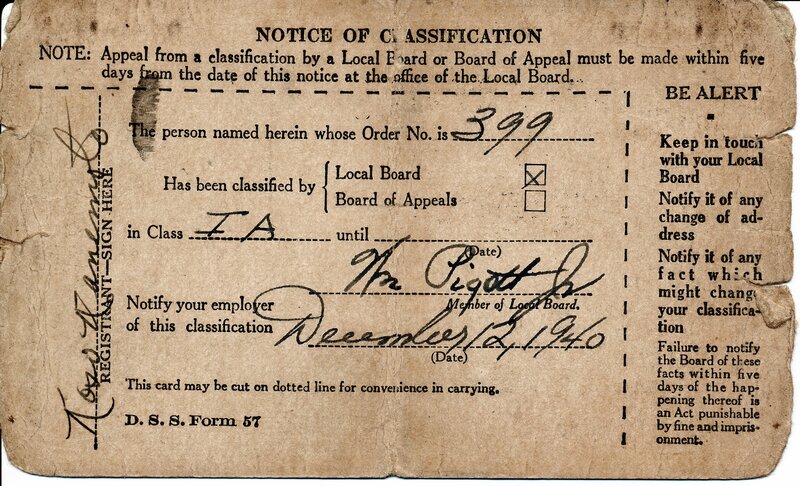 (¹) These routing slips provided a trail to a large collection of Army and Navy MAGIC ultra secret deciphers from monitoring Japanese communications; these were presented to FDR, the top military chiefs and several key members of the Administration between February 1940 and December 7, 1941. Sometimes, when McCollum deemed he had a “hot” item, he would personally deliver the message to FDR; otherwise the President’s naval aide made the delivery as per below. So what did some of the MAGIC intercepts and other investigative reports include before Pearl Harbor and up to the imprisonment of about 117,000 people of Japanese descent against their will? We already know per “What Did FDR Know – Part 3” that Tokyo instructed its American-based diplomats to covertly begin putting together an espionage network. In fact, because we had broken the Japanese codes, the US “listened in” on Admiral Isoroku Yamamoto in February 1941; he clued in Captain Kanji Ogawa, Japan’s top intelligence officer, of the intentions of attacking Pearl Harbor. 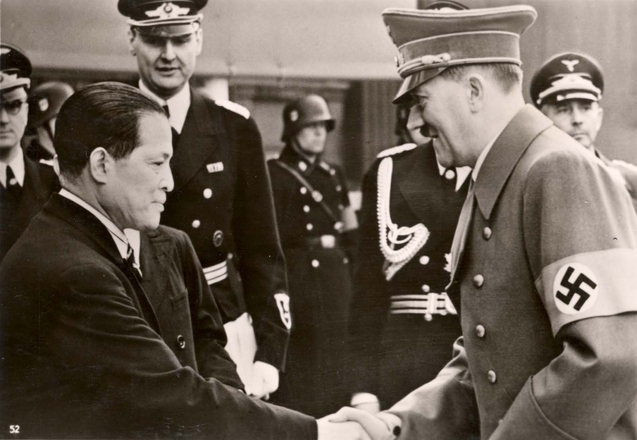 Yamamoto wanted to give Ogawa enough time to put together his own military-based network in the event of war. 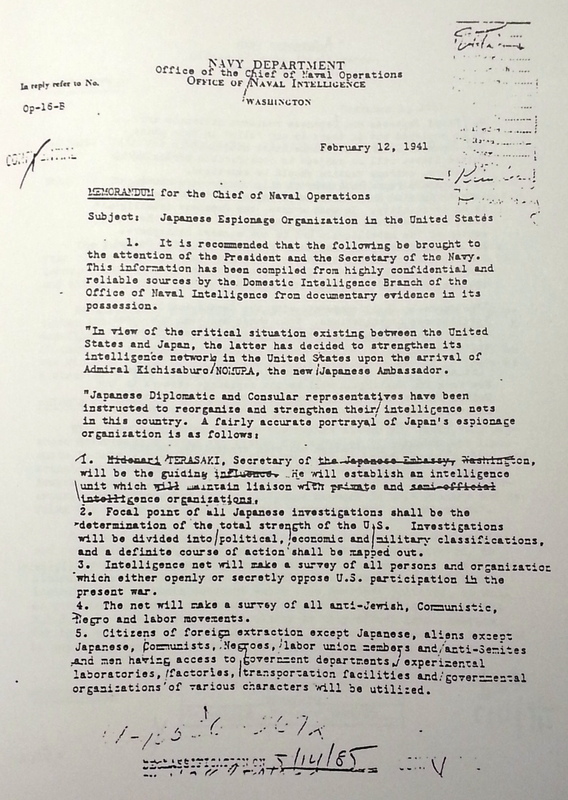 ONI memo generated for FDR, dated February 12, 1941. This was based upon the Purple deciphers, with Tokyo instructing American-based diplomats to set up their espionage nets. Source: “Magic” by David D. Lowman. 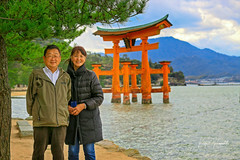 Prior to the message instructing diplomats to energetically strengthen their espionage efforts, there were already Japanese spies living on the west coast. 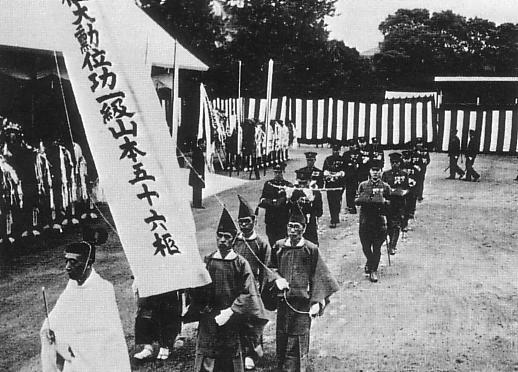 Under the disguise of language students, Japanese military agents (primarily IJN) had already established their network including a small number of Issei and Nisei, militaristic Japanese organizations, Japanese clubs and business fronts. This facet was led by Lt. Cmdr. Itaru Tachibana of the IJN. In June 1941, however, this ring was smashed. Tachibana, and unbelievably a former chauffeur and business secretary to Charlie Chaplin named Toraichi Kono, had tried to recruit a former US Navy seaman (Al Blake) but Blake turned him in. While Tachibana and his lieutenants were deported, detailed searches of their living quarters provided detailed records of their espionage network. This detail included names of residents of Japanese descent as well as a number of organizations. February 5, 1941 – Tokyo instructed the diplomats to come up with a contingency plan in the event something were to happen (i.e., war). To always exercise due care and to look at Central/South America for continuing intelligence efforts. February 15, 1941 – Tokyo directly asked for intelligence on materiel movement (especially planes and ships), non-military cargo vessels, troop movements, production of planes and arms, military training activities, etc. 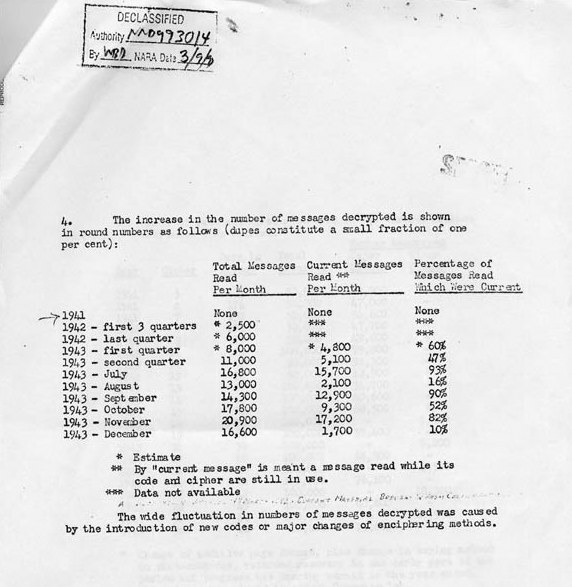 April 24, 1941 – This intercept disclosed that Tokyo wanted a status update of its previous orders in regards to: (1) keying in on intelligence instead of propaganda, (2) recruiting of agents for the ring, and (3) established standards for reporting such information. 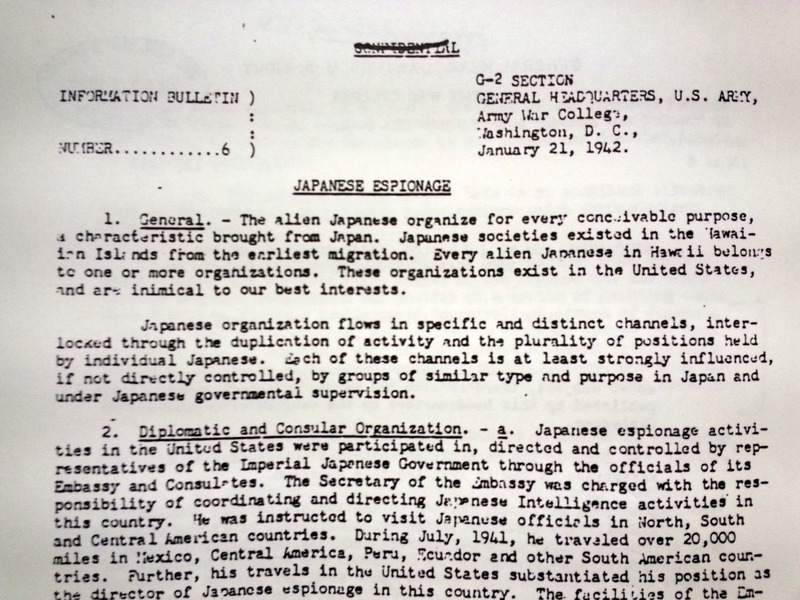 May 19, 1941 – the Japanese Embassy in Washington requested $500,000 more cash to further their recruiting for intelligence gathering purposes, i.e., entertainment, bribery, etc. 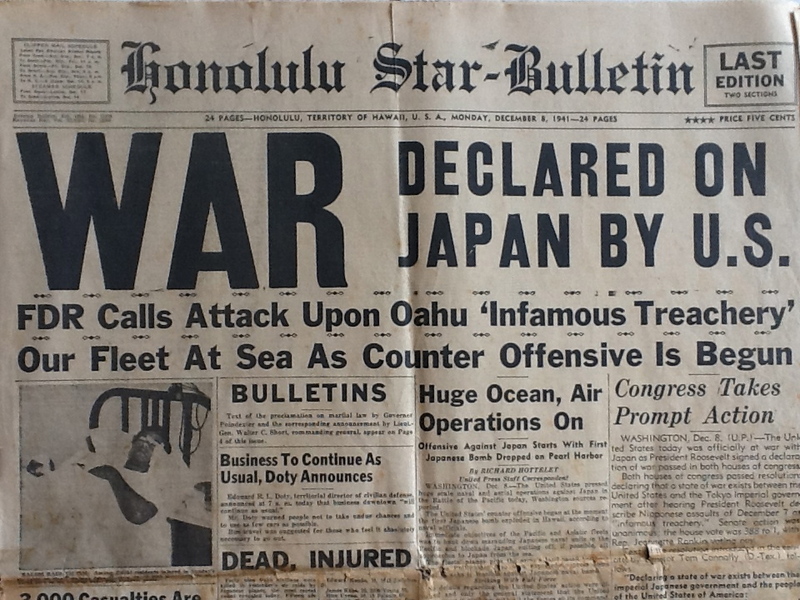 October 4, 1941 – specifically asked for intelligence on any change in sea or air patrols or warship movements and the immediate reporting thereof. October 28, 1941 – in one of many transmissions reporting naval ship movements, the Seattle diplomats reported in detail the sailing of fifteen Coast Guard vessels. 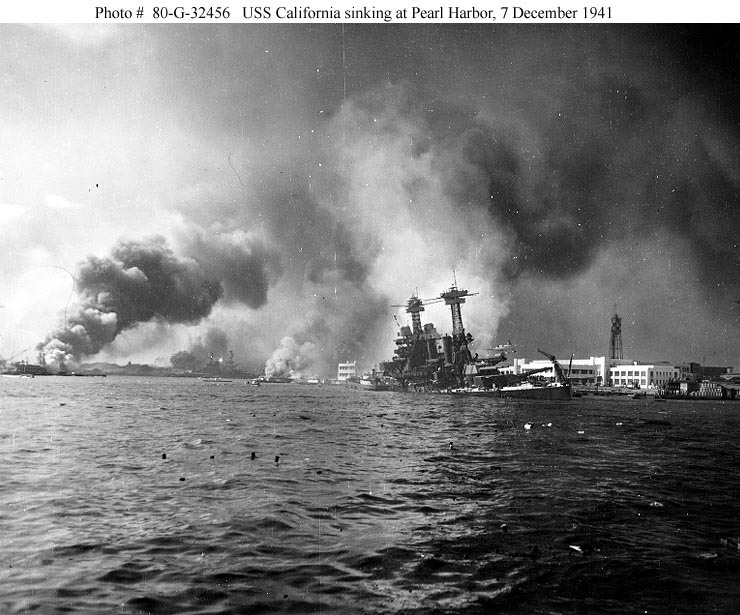 They also reported their four-inch guns were upgraded to five-inch guns. 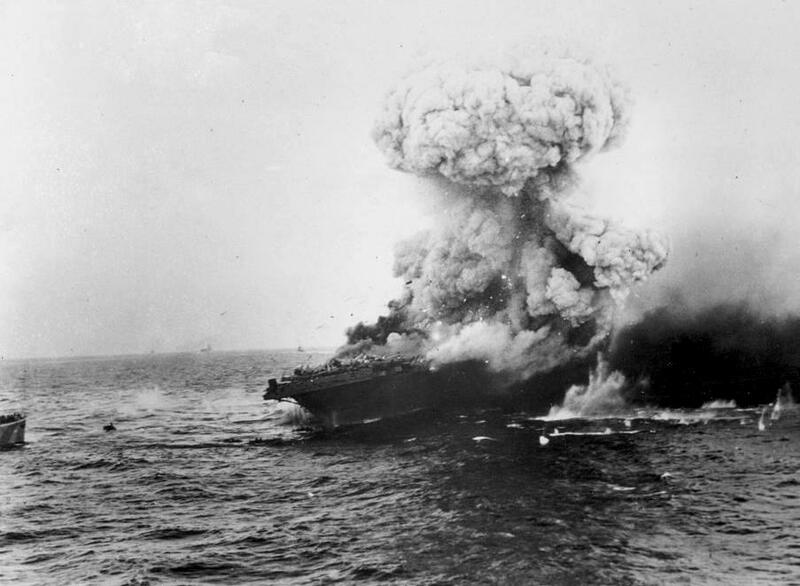 December 6, 1941 – Seattle diplomats reported the departure of the carrier USS Saratoga from Bremerton, WA. 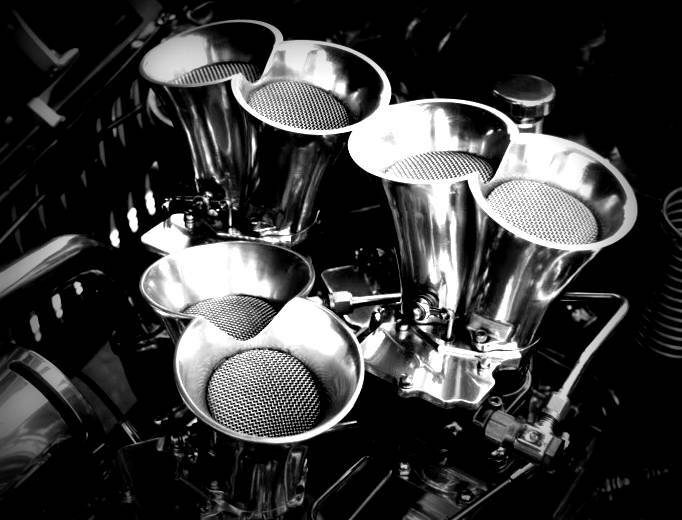 Please note there were hundreds of these types of transmissions, both from and to Tokyo. In addition, there were quite a few official FBI reports detailing espionage activities. These reports also included names and businesses that were involved. The FBI was not privy to MAGIC intercepts. 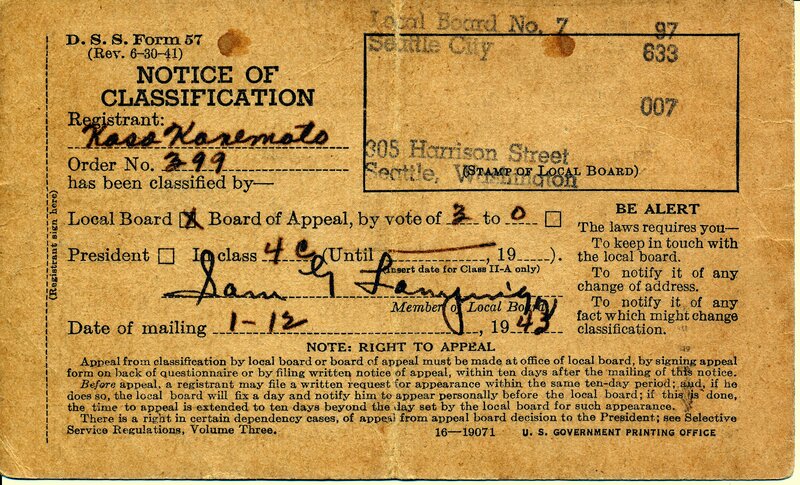 FDR signed Executive Order 9066 on February 19, 1942 which had the effect of forcibly relocating all persons of Japanese ancestry – both citizens and aliens – out of the west coast’s Pacific military zone and into War Relocation Centers. 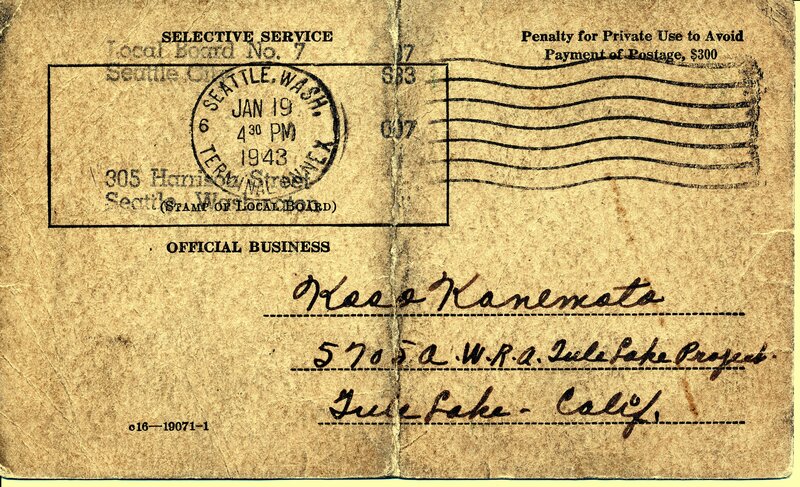 The much later publicized objectives of the order were to prevent espionage and to protect persons of Japanese descent from harm at the hands of Americans who had bitter anti-Japanese attitudes. 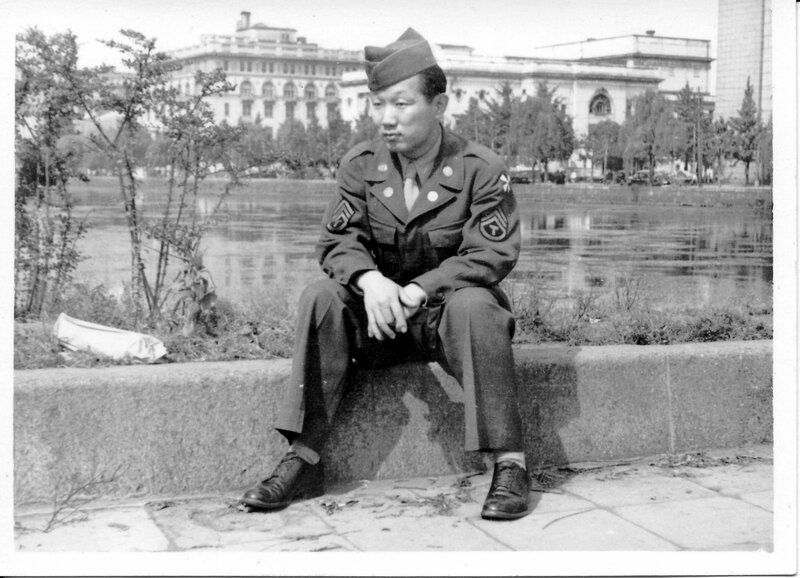 Dad in his US Army duds, Tokyo 1947. The Emperor’s Palace is behind him to his left. MacArthur’s GHQ is off to the right (Dai-Ichi Sei Mei Building). Some say people like my dad were imprisoned because “FDR wanted to protect the Japanese from hate crimes”. 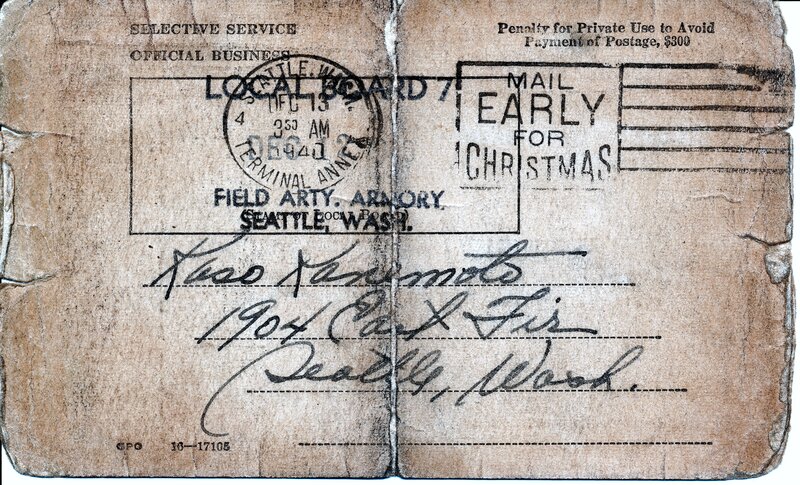 After all, my grandmother was egged while she lived in Seattle. Some Japanese girls were taunted or worse, molested, assaulted or raped. Indeed, there was hysteria. 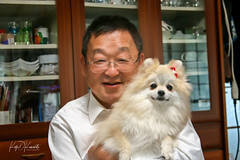 Some say people like my dad were imprisoned because of the espionage activities. And from the above, we do see some were taking part in espionage activities. In other words, the US wanted to ensure we won the war in the Pacific with the fewest amount of lost lives as possible and espionage was certainly a risk. But if that were the case, how would the US go about removing Japanese suspected of espionage? Just knock on specific homes and businesses and arrest specific men…but leave the others to go about their daily lives? So what do you think? How does this compare to what you were taught? 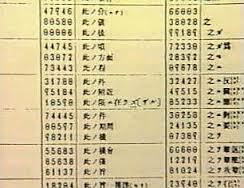 In my opinion, our breaking of the Japanese codes was America’s greatest secret weapon. 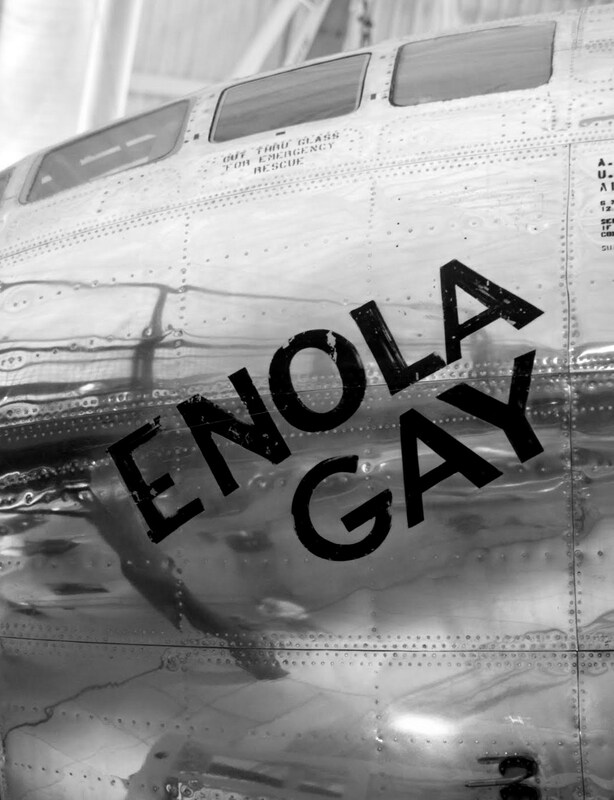 It was not the atomic bomb. (1) Per “Day of Deceit: The Truth About FDR and Pearl Harbor” by Robert Stinnett. (2) There was a brief period in 1941 when FDR himself was removed from the MAGIC distribution list. D-Day’s 70th “Anniversary” has passed. But I don’t know if “anniversary” is the correct term. Is it commemoration? Hard to say since so many young lives were ripped away from the world so violently. Many were never found. 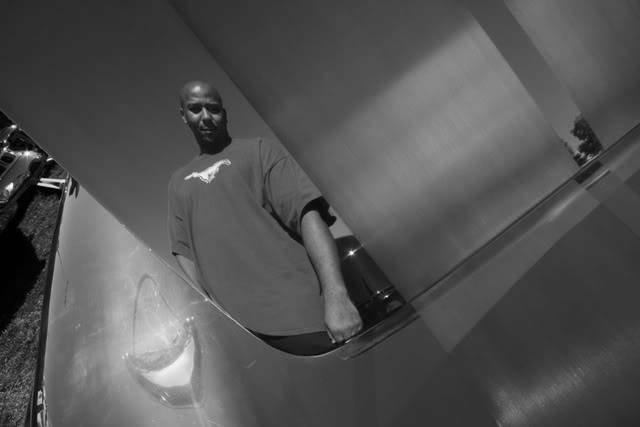 Blogger Mustang had forwarded some “then and now” images last week but here is another one. If you get past the first two images (a then and now), please click on the subsequent images singularly to see the “now” photo. Look at all the young faces…and realize that many must have been killed in the next months…or days. 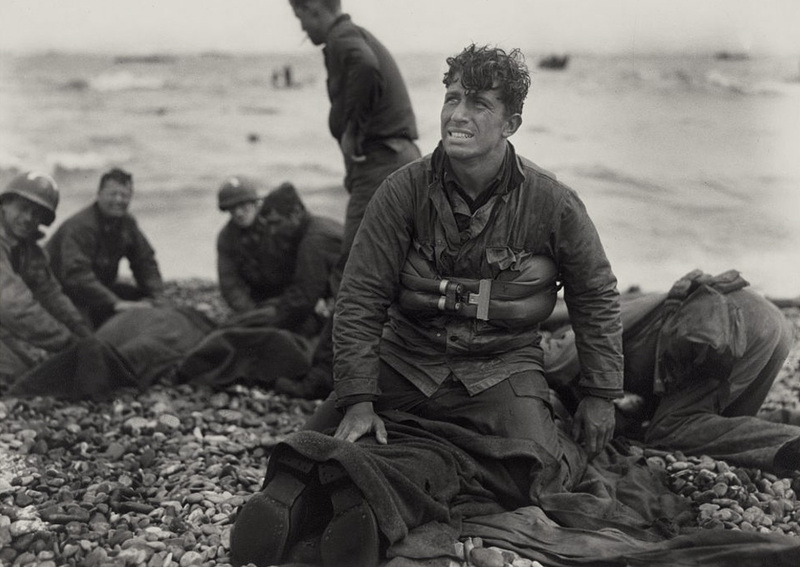 It is humbling to see the devastation of 70 years ago but in today’s life…but only “they” know.